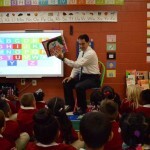 Hit with an avalanche of criticism from across Wisconsin, Gov. Scott Walker and Republican legislative leaders have agreed to remove language from the state budget that would have gutted the state’s open records law. But the question remains: Who is responsible for putting it in the budget in the first place? It is a question that legislative leaders and Walker — who is set to announce his run for the presidency next week — have repeatedly dodged since the proposal was slipped into the 2015-17 spending plan late Thursday as residents headed out to begin celebrating Independence Day weekend. 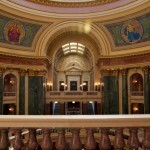 A review by the Wisconsin Center for Investigative Journalism shows similarities between recent records request denials from the governor’s office and the state Department of Administration and changes inserted in the budget by Republicans on the Joint Finance Committee — similarities that raise questions about whether Walker himself was involved in the budget proposal. Critics from the left and right agree the measure would have allowed state and local officials to craft laws and policies largely in secret. The governor’s spokeswoman, Laurel Patrick, declined to respond to questions about whether the governor was behind the effort to limit the state open records law. Walker also ducked reporters’ questions about his role on Saturday. On Monday morning, Assembly Speaker Robin Vos, R-Rochester, declined during an interview on Wisconsin Public Radio to discuss the governor’s involvement. The turnaround came soon after Wisconsin’s Republican attorney general and conservative and liberal groups dedicated to government transparency all decried the last-minute changes approved on a 12-4 party-line vote by the budget committee with no public input. Republican legislative leaders have refused to say who is behind the measure, which opponents argue would have invited corruption by largely shielding the inner workings of state and local government in Wisconsin from public view. A Center review shows that on May 8, DOA used a similar rationale in denying a River Falls man access to records about Walker’s controversial proposal to eliminate IRIS, a program that allows disabled individuals to use state money to pay for self-directed care. Lawmakers have since altered the program, but disability advocates remain opposed to the changes. “Making these internal discussions just as open to disclosure as the final version of the budget would inhibit the free exchange of ideas, opinions, proposals, and recommendations among those involved in deciding what to include in the final legislation,” according to the letter signed by Gregory Murray, DOA’s chief legal counsel. The Center also found Walker and DOA invoked a deliberative process argument in denying requests for records documenting the proposed removal of the Wisconsin Idea and the “search for truth” from the University of Wisconsin’s mission statement. Two parties that sued Walker for records over that issue say they detect the governor’s fingerprints in the now-defunct budget proposal. Among them is Jud Lounsbury, a columnist for The Progressive magazine and his wife, Katy, a labor attorney. The couple filed suit to get records after the liberal-leaning Center for Media and Democracy discovered that the Walker administration proposed changing the university’s core mission statement in the state budget. Although Walker initially denied any involvement, the Wisconsin State Journal and the Milwaukee Journal Sentinel and other outlets used the state open records law to confirm that the governor’s office was behind the effort to rewrite the mission statement. 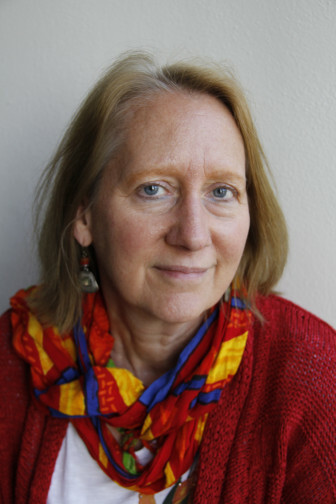 Christa Westerberg, vice president of the Wisconsin Freedom of Information Council, noted similarities between Walker’s invocation of a deliberative process exemption in recent months and the proposal in the “Motion 999” amendment to the state budget passed Thursday. The measure would have been a “vast rollback of the public’s right to know,” Westerberg said. 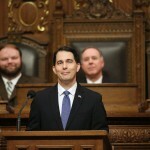 “It’s strangely coincidental that we’re seeing the deliberative process exemption in the budget within months of the Governor’s office and Department of Administration attempting a similar exemption in recent (open records) responses,” said Westerberg, a Madison attorney who also is legal counsel for the Wisconsin Center for Investigative Journalism. “When the administration attempted this exemption this spring, it was really an unprecedented attempt to conceal decisionmaking documents about important issues in the budget. 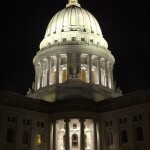 Brendan Fischer, general counsel for the Center for Media and Democracy, noted the similarities between Walker’s denial of his organization’s request for records related to the UW’s mission statement and the controversial open records changes. 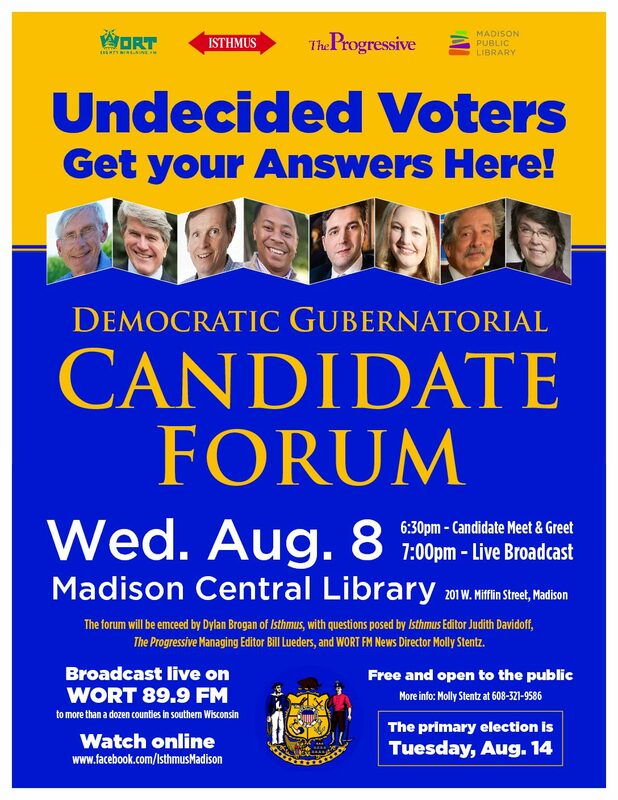 After Walker’s office denied the organization access to the records, citing a “deliberative process privilege,” the Center for Media and Democracy sued in May. That suit has been consolidated with the legal challenge filed by Jud and Katy Lounsbury and is pending in Dane County Circuit Court. Fischer said that the budget proposal, which would have done “grave damage to the state and the public’s ability to know why changes are being made,” surfaced as the Walker administration is battling in court to keep such records secret. “The similarities between their claims in our lawsuit and the appearance of this in the (budget) proposal seem like more than coincidence,” he said. Fischer added that if the proposal had been enacted, it would have helped shield Wisconsin’s governor from requests for state records that are sure to mount after Walker’s intention to run for president becomes official on July 13. The issue is not over. Walker and GOP leaders said they plan to convene a Legislative Council committee to study possible changes to the open records law — this time allowing other lawmakers and the public a chance to debate them. The nonpartisan, nonprofit Wisconsin Center for Investigative Journalism is increasing the quality and quantity of investigative reporting in Wisconsin, while training current and future generations of investigative journalists. Its work fosters an informed citizenry and strengthens democracy.